on whether trademark law should even recognize such a concept. Traditionally, to forbid another from using a mark, one had to prove that there is a ‘likelihood of confusion’ that may arise, which would cause one to believe that the goods being sold are those of another. By recognizing trademark dilution, the reputation or distinctiveness of the mark is protected even if there is no scope for confusion. It is necessary here to define the two types of trademark dilution, namely, blurring and tarnishment. In Mead Datacentral v. Toyota the Court held that blurring includes, ‘the whittling away of an established trademark’s selling power through its unauthorized use by others upon dissimilar products’. A mark is said to be tarnished place when the impugned mark links such mark to products that are of poor quality or which portray such mark in an unwholesome or unsavory context that is likely to reflect adversely upon the owner's product. (4) The use of the impugned mark (amounts to) taking unfair advantage of or is detrimental to, the distinctive character or repute of the registered trade mark. This TDRA also states that it is not necessary that one must prove actual dilution in order to make a claim of dilution. The Act came after the U.S. Supreme Court and a district court refused to grant an injunction in the ‘Victoria’s Secret Case’ (V Secret Catalogue Inc v. Moseley, 54 U.S.P.Q.2d) on the grounds of lack of evidence of blurring or tarnishment. Mere likelihood of dilution is adequate to prevent another from using the impugned mark. The Delhi High Court while stating essentials of a claim of dilution simply stated that the mark must be detrimental to the distinctive character or reputation of the registered trade mark. The factor of burden of proof was not dwelled upon. (ii) identifying and parodying, criticizing, or commenting upon the famous mark owner r the goods or services of the famous mark owner. Such an exception cannot be drawn from Section 24 of the Act and the word ‘detrimental’ can mean to include even parodies, criticism or comments. The exception of parodies was used in Louis Vuitton Malletier S.A. v. Haute Diggity Dog, LLC, where the defendant’s manufactures apparels for dogs under the mark ‘Chewy Vuiton’ which was parodying the famous brand of ‘Louis Vuitton’ apparels. 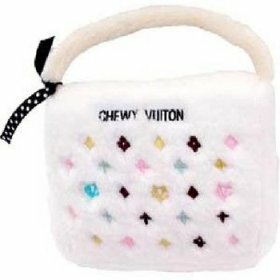 It was held in that case that ‘Chewy Vuiton’ did not dilute the trademark ‘Louis Vuitton’ because it was merely a parody of ‘Louis Vuitton’. It is therefore humbly submitted that trademark dilution, even though it is not a consumer-centric law, must be openly adopted in Indian trademark Law. A separate legislation may not be necessary, amendments to the Trade Marks Act, 1999 should suffice and may even be better. Section 24 must be amended to change the scope of the provision by not including all marks with reputation but only covering famous marks, thereby excluding marks which are simply ‘well-known’. Criteria to be considered to determine whether or not a mark is famous, such as those criteria set out in the TDRA can be adopted. An exception to criticisms, parodies and comments needs to be made. The wide scope of Section 24 of the Act can lead to misuse of the provision by users of famous marks. This is dangerous considering the fact that the users of famous marks are generally corporate giants who may use the wide protection granted to them under Section 24 to bully smaller businesses. As to the burden of proof, the user of the famous mark need prove actual dilution. Likelihood of dilution should suffice. However, the burden of proving that the famous mark is indeed ‘famous’ should lie on the user of such mark. Deere & Co. v. MTD Products, Inc. 4l F.3d 39 (l994). 2010 (42) PTC 572 (Del. Wonder full Information. Business Lawyer is must in the industries because just because of this everybody can easily get more and attractive info related to business and get know about business laws.